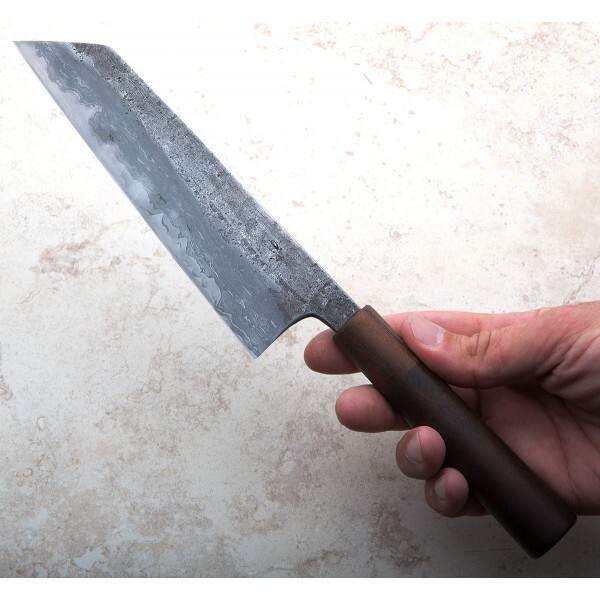 A 175mm bunka by Robert Trimarchi of the.nine hand-forged from a wrought iron clad san mai with Blue No.2 core. 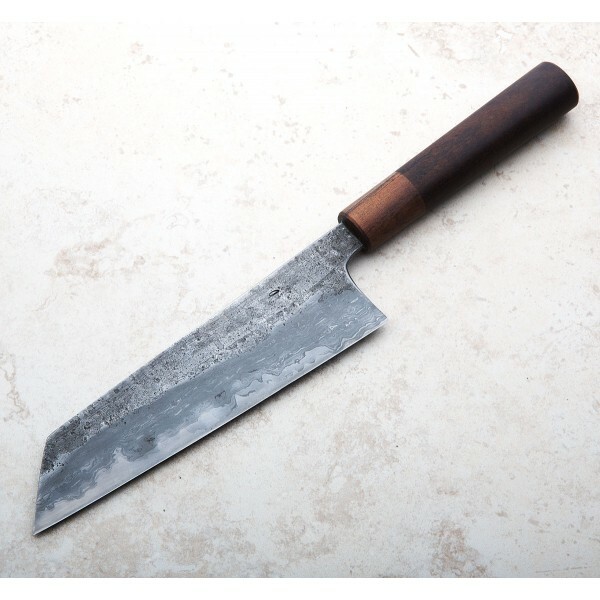 The size and weight makes this knife feel like an instant extension of the hand, with a balance point directly above the choil, and a wonderfully versatile bunka profile for a range of daily cutting tasks. And Rob did not stop with the hand-flattened blade road, gidgee wood handle or elm saya with ziricote pin: to do the edge proper justice he sent the knife to New Zealand where a whetstone sharpening guru by the name of Otto used the following 7-stone progression for an unbeatable cutting experience: King 800 (synthetic) - King hyper 1000 (synthetic) - Natsuya (natural) - Aizu (natural) - Hakka (natural) - Uchigumori (natural) - Uchigumori fingerstone (natural). Robert Trimarchi's hand-forged chef knives exhibit a classic, utilitarian and simply beautiful aesthetic that we are continually drawn to. 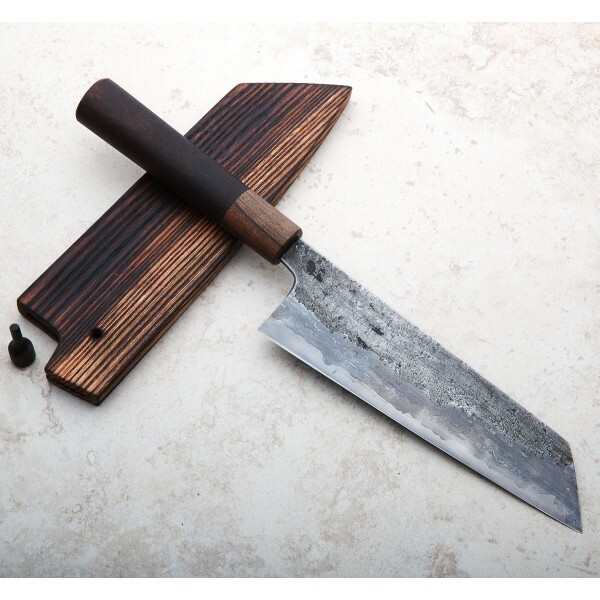 Each knife from the.nine, as Rob's brand is known, comes with a story like the one above, and he always includes a touch of blade oil, handle paste and a handcrafted saya for safe storage. Building knives one at time at his shop in Melbourne, Australia, Rob understands a chef's needs, and has an eye to delivery form with the function. Blade length: 175mm / 6.9".  Overall length: 280mm / 11" overall. Blade width at the choil: 3.5mm. Blade width 10mm from tip: 1.9mm. Blade height at heel: 49mm. Weight: 6.03oz / 171g. 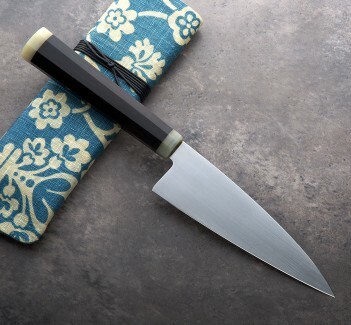 Blade: House-made san mai with a Blue No.2 carbon steel core and wrought iron cladding. 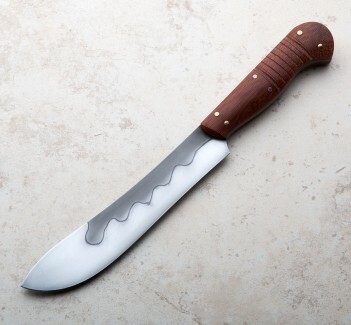 Handle: Figured gidgee with Fijian yaka ferrule. 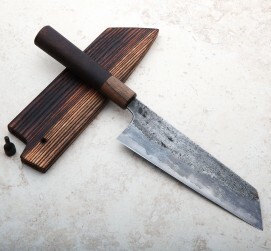 Saya: Elm wood with Ziricote pin and a light Yakisugi finish.